By Catherine on September 20, 2017 | Last Updated October 23, 2018 | 1 Comment | Medical Disclaimer | This Post Contains Affiliate Links - I may receive a commission if you purchase through links in this post. Every day I get to talk with women from around the world via phone, email, and applications submitted to work together. I love the qualitative research I get to do by speaking with these women on a daily basis. The candid stories of my readers and clients have taught me a lot over the years. The women I speak with all have different goals, but most often, they include things like increased energy levels, improved digestion, and better sleep. More than 85% of them also want to lose weight. 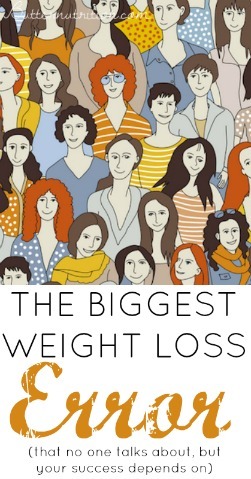 Many women write to me riddled with fear—fear that their body has taken the driver’s seat and is out to destroy their life, one bloating episode at a time, one pound at a time, or one aching pain at a time. The unbridled fear is that their body cannot be trusted—that they must fight back with every inch of power and self-control they can muster to force the body to do exactly what they want. 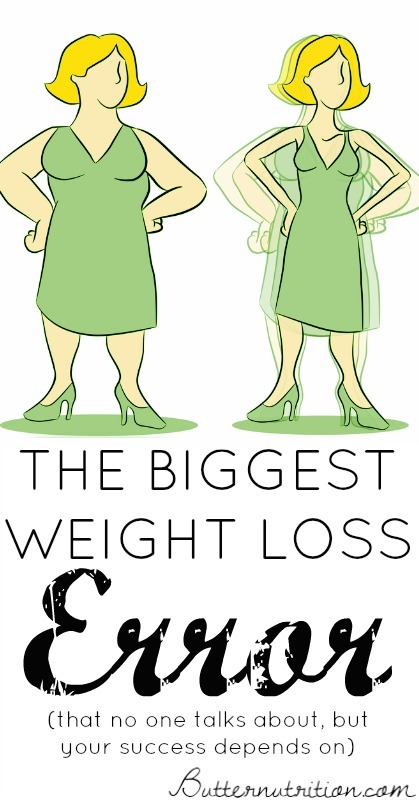 Many of these women fear that they will fight the weight battle every day for the rest of their lives. 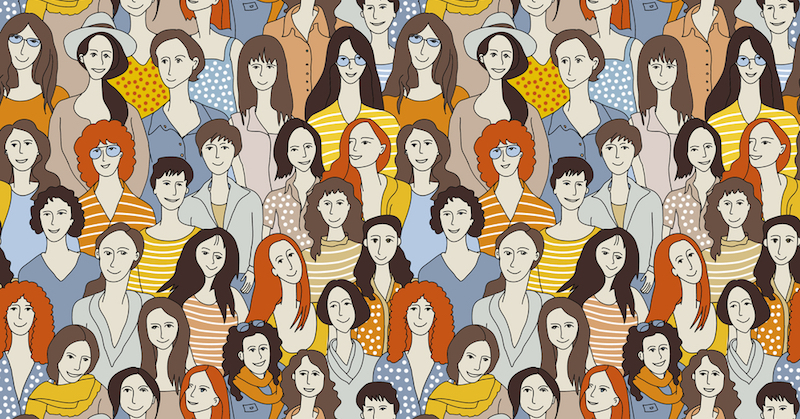 An overwhelming majority of these women face a huge setback without even realizing it. The common theme I see holding these women back from success is their mindset—and, more specifically, the actions the fear-based mindset causes them to take. Do any of these sound familiar to you? Obsession: Constantly thinking about food, your next meal, your nutrition, your weight, and your body while ignoring the other aspects of a balanced life. Constantly monitoring food intake by macros, calories, or nutrients. Manipulation: Playing on the opposite team as your body. Your body wants X, but you, your diet, and willpower say NO. Anxiety: Unease about what fate is down the road with relation to your body and/or body image, and not being in control of your body. Stress: Worry that you’ll never escape the vicious cycle of dieting or quick fixes and that you’ll never get the results you desire. Anger: Feeling of hostility or displeasure about your body image. Sadness: Feeling unhappy about how you look and feel in your own skin. Negative thoughts while comparing and judging yourself against others, and/or feeling rejected. When you live and operate in the fear-based mindset, you are constantly feeding your body negativity. This negativity often will manifest in negative behaviors against your body, often resulting in poor food choices, food restrictions, ignoring what you know your body needs, extreme dieting that displaces your body’s true needs and leaves your body in a constant state of need and want. The fear induces a power struggle against your body as you try to control it to get your desired outcome. If you constantly feed yourself negative self-talk, your body changes, literally. Consider that you have 175 brain cells which spy on your breath and alter your state of mind accordingly: if you have stressful thoughts, your breath changes, your stress hormones fire, and your body releases more cortisol. All this can push your body further away from your health goals. Imagine for a minute that all of the thoughts you have about yourself are visible to the people and the world around you. Would you change the way you thought? Would you realize that you are actually very mean to yourself? If your thoughts about yourself are something you wouldn’t say to the two-year-old version of yourself, it’s probably not doing you any favors to think it. Be kind with your thoughts. When you change your thoughts and how you feel about your body, you allow your body to change and respond. When you operate in a love-based mindset and feed your body loving thoughts, you are more likely to respect your body and what it needs, as well as trust and accept the amazing ways that your body is always changing and adapting the way it operates to support you in the best possible way. The love-based mindset allows you to try to see things from your body’s point of view—the true shortcut to getting results (you can read more about my story with this tough lesson here). Acceptance: I accept that everything that is happening to my body is happening for a reason. Whether it is lack of nutrients, stress, disease, or otherwise, my body is doing the best it can to keep me alive and thriving. If I seek to understand my body, I can better give it what it needs. Trust: I trust my body and that is why I choose to give it what it deeply craves and asks for, whether that is more or less food, sleep, work, love, acceptance, etc. Respect: I respect my body enough to give it deeply nourishing foods and take care of it in the best way that I can. Freedom: I give my body the freedom to do whatever it needs to do to help make me healthy and thrive. Mindfulness: I am mindful and grateful for everything my body can do. Health first: I want to focus on getting healthy to lose weight, by pushing my body closer to health as a first priority, so that the body wants to lose weight—and it’s more a natural byproduct of creating health, not something I’m trying to trick or manipulate my body into doing. Understanding: I want to learn more about my body so I can understand it (and why it does what it does), instead of fighting against it. In my nutrition practice, I operate from the love-based mindset that focuses on how you feel rather than how you look, or want to look, to those around you. This means I help my clients understand their body through self-investigation using tools such as the personal nutrition assessment, hair analysis, biofeedback and plenty of education to fuel real change that helps you love your body from the inside out! The more you know about your body (by data, observation, and otherwise), the better you can support it. 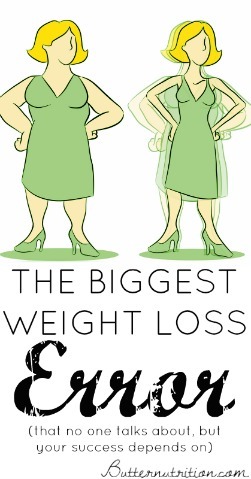 Has your mindset ever kept you from reaching your weight loss goals? Please share in the comments! I REALLY APPRECIATED THIS STRAIGHT FORWARD ARTICLE. IT IS VERY PROFOUND AND I AM GOING TO READ EVERYDAY. I TOTALLY AGREE WITH THE THORY THAT KNOWLEDGE IS POWER. HOWEVER REMINDING MYSELF TO TAKE ACTION CAN BE A WHOLE OTHER MIND SET. THANKS AGAIN FOR A SIMPLE LOOK AT WHAT WE MAKE WAY TOO COMPLICATED. THE BALANCE OF SELF WORTH AND KNOWING TAKING CARE OF OURSELF MEANS WE ARE BETTER EQUIPPED TO PASS IT FORWARD OTHERS IN OUR LIFE, NEEDS TO BE REMEMBERED.